One of Canada’s three Maritime provinces, and the gateway to the east coast, New Brunswick is a water lover’s dream. 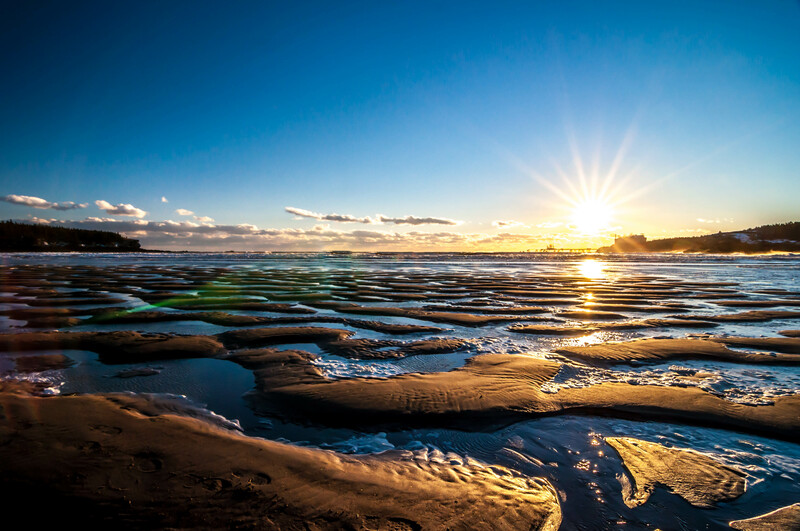 While the oceans that surround Canada can make for a cold swim, New Brunswick is home to several warm, saltwater beaches. In fact, the province boasts Canada’s warmest saltwater beaches (the warmest waters north of Virginia) on the Acadian Coast at Parlee Beach. This beach welcomes approximately one million visitors each year. Warm to hot summers in the province provide the perfect weather for experiencing all that New Brunswick has to offer. Part of the allure of beaches in New Brunswick is their serene natural environments and unique ecosystems. You can even walk on the ocean floor at the Hopewell Rocks in the Bay of Fundy which has the world’s highest tides. At low tide, you can find yourself below towering rocks, and the same day, kayak in the same area at high tide. Many beaches in the area also have tidal pools and various offshore islands, making for a scenic swim in clean waters. If saltwater isn’t what you’re after, however, there are also plenty of freshwater lakes and rivers to enjoy. Grand Lake, east of Fredericton, is the largest open body of water in the province. Beaches along the lake offer boat ramps and camping grounds or cabins for longer stays. The Saint John and Miramichi rivers and their tributaries also offer areas for recreational water use (of course, it’s always best to check the local conditions of a river to avoid strong currents). New Brunswick is home to the National Water Centre. The centre promotes swimmable, drinkable, fishable water through community-building, information sharing, research, and leadership development. It is located along the shores of the Kennebecasis River.